When commercial disputes heat up, Ann works to cool things down so her clients can get back to taking care of business. An award-winning litigator, Ann calls upon her years of experience to quickly assess the situation and offer workable solutions. Ann understands that litigation is expensive and distracting for clients—whether it involves contract disputes, dealership termination, lease quarrels, contested noncompete agreements or intellectual property issues. She looks to resolve disputes in a practical way to keep the wheels of commerce turning smoothly for her technology, manufacturing and transportation clients. 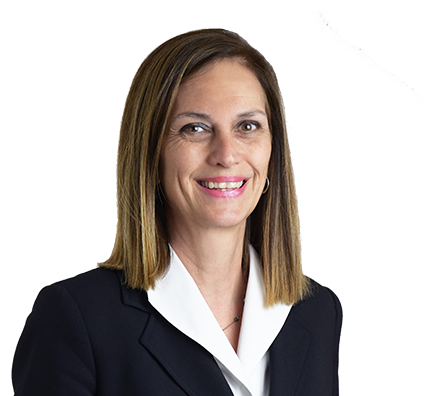 More than a litigator, Ann also advises general counsel, company presidents and other organizational leaders on a variety of business and legal issues. Successfully defended commercial tenant, through trial, against claims of breach of lease and breach of personal guarantee. Successfully defended distributor, through trial, against claims of breach of warranty and indemnification arising out of sale of generator sets. Advised wireless tower acquisition company on siting of new communications tower. Representation included obtaining favorable settlement after challenging municipal planning commission in court and negotiating with another wireless carrier to remove existing tower. Litigated enforceability of non compete agreements under Wisconsin and other state laws. Litigated disputes over the enforcement of residential and commercial real estate deed restrictions, including defense of national restaurant chain against claim by neighboring landowner that it was operating in violation of restrictive covenant. Defended international construction equipment manufacturer against claims of wrongful termination of dealer agreement in alleged violation of state franchise laws. Litigated trademark infringement claims against internet reseller using client's trademarks in metatags and sponsored search terms. Defended yacht design firm against artist's claims of copyright infringement. Litigated matters involving misuse of confidential and trade secret information by former employees and representatives of insurance and brokerage firms, medical device manufacturers, equipment manufacturers and chemical companies. Advised clients making changes in dealer, distributor and sales representative relationships and litigated cases arising under state relationship termination laws, including the Wisconsin Fair Dealership Law. Litigated breach of contract and trademark infringement claims against client's former Taiwanese sales representative for unlawful registration and use of company's trademarks. Obtained seven-figure jury verdict on behalf of commercial tenant in a lease dispute. Obtained arbitration award and attorneys' fees for client whose sales representative agreement was wrongfully terminated in violation of manufacturer's duty of good faith and fair dealing. Ann devotes much of her free time to performing nonprofit work. She serves as a director of various civic organizations, including Feeding America Eastern Wisconsin. “I feel an obligation to the community to help people who are less fortunate,” Ann says.